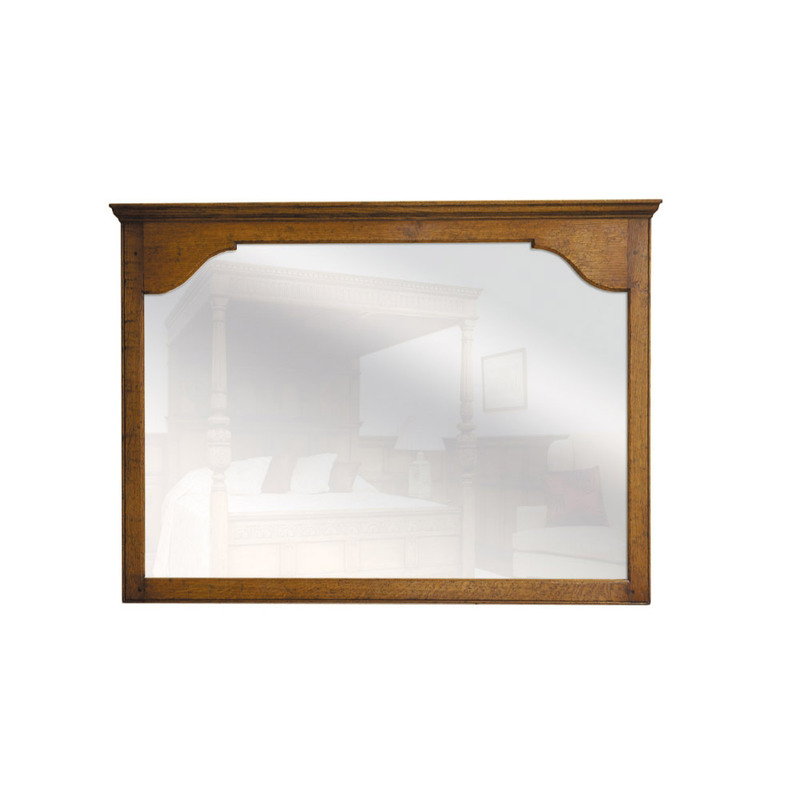 An English Oak landscape mirror, featuring shaped bracket corners with simple ovolo mouldings. Qty: 2 available in a choice of colour. We understand that every piece of handmade furniture is as unique as its owner. If you would like this product in a bespoke size, colour, or finish, or would like any other alteration then please contact us to discuss in more detail. If you want to order this piece, either contact our head office on 01473 252158 or visit our workshops in Ipswich to order. When you’re happy with the design and size of the piece and have decided on the finish, we’ll send you an order acknowledgement and take a 50 per cent deposit. Unless we have it in stock, each piece takes between 8-10 weeks to make, sometimes longer if it’s more complicated to produce. When your item is nearing completion, we’ll contact you to arrange delivery and take the balance. Delivery via Titchmarsh & Goodwin van can be arranged to most areas of the country. A delivery charge may apply, starting from £70, depending on your location and we cannot guarantee specific dates and times. A finish is a very personal choice, one of our experienced sales team will discuss and advise on the best finish for your piece of furniture. All finishes are hand applied to give the piece that extra high quality finish. We suggest a sparing application of a good quality natural beeswax polish from time to time. Spillages should be removed promptly. Protect tables from direct heat when possible. All wooden furniture will change colour slightly if exposed to direct sunlight.